The Director of the Coalition to Save Manned Space Exploration participated with the American Institute of Aeronautics and Astronautics' Congressional Visits Day program. 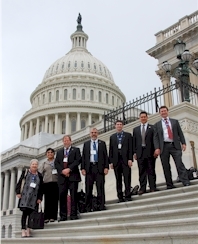 Following by just weeks the similar Space Exploration Alliance's Legislative Blitz, hundreds of aerospace engineers, advocates and experts from across the country visited with members of Congress and their staff. The budget situation for space and the sciences is grim for this year, with across the board cuts hitting equally hard on the essential as well as the wasteful government programs; making it all the more important that members of Congress understand the importance of maintaining US space and science leadership. 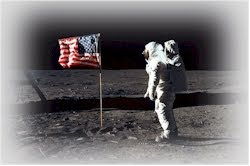 The 2014 budget might offer an opportunity to rebuild, but for now the primary goal when you call Congress would be to make it clear NASA should be exempted from cuts. Scientific and space projects often cannot be delayed or cut back without endangering the project entirely or bloating the final costs. The actions taken--or not taken--now can determine whether it will be China or the US which leads in high tech for the next generation, and who reaps the rewards in jobs, investments, patents and innovations, and national pride. While these organized group visits are valuable, so too are your individual phone calls and visits to your members of Congress. Call the offices of your Representative and Senators at 202-224-3121, and ask to speak with the "legislative assistant" who deals with NASA; ask the member's position on NASA funding, and urge they support full funding. You can ask to schedule a meeting with the Representative or Senator at their district/state office to discuss the issue in more detail. 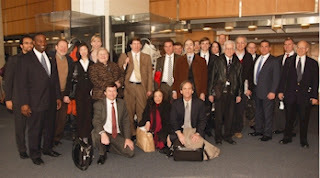 The Coalition can provide more information and advice to assist your lobbying efforts. 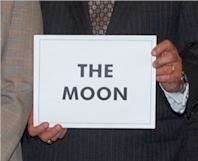 Members of Congress and staff were presented with the Coalition's "The Moon" sign, a historical recreation of the signs hung on the doors and walls at NASA during the Apollo program to focus everyone on the goal. You can print the PDF of the sign and post it on your walls too!